The virtual reality revolution is well under way, and the HTC Vive and the PlayStation VR (PSVR) virtual reality headsets are, along with the Oculus Rift, offering the most impressive immersion and the best visuals. 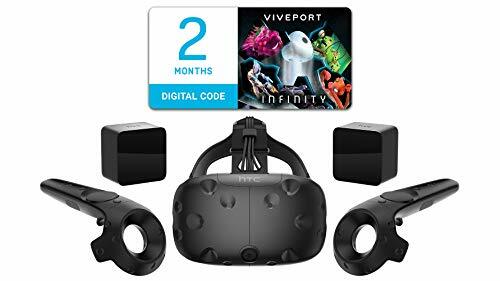 The goal of this article is to help you decide whether to invest into the Vive, which has been designed with the PC in mind, or the PSVR, which works with the PlayStation 4 video game console. When the HTC Vive launched in April 2016, the introductory price was $799. Since then, the price has dropped to $599, placing the headset a lot closer to the PlayStation VR, which starts at $299 for the headset only. In reality, you’ll also need the PlayStation Move controllers, which are included in the $449 PlayStation VR bundle. There are no Vive bundles because everything you’ll need to enjoy the headset is already included in the box, including two wireless controllers, two base stations, a link box, a pair of earbuds, Vive accessories, a safety guide, and a warranty card. Well, you’ll need one extra thing: a powerful PC with a high-end graphics card. If you’re a PC gamer and already own one, you’re set. If not, you’re looking at around $1,000 for a basic VR build. In comparison, a brand-new PlayStation 4 Pro sells for $399. If the HTC Vive and the PlayStation VR were props in a mecha anime, the PSVR would surely be fighting for the good guys, while the Vive would be on the side of evil. 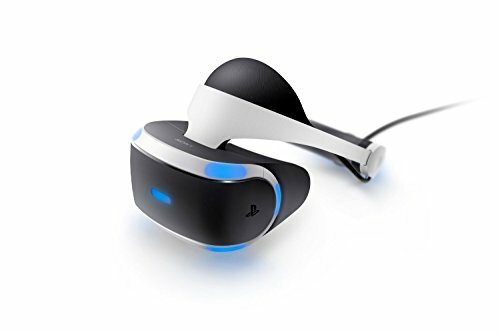 When Sony’s engineers and designers were working on the PSVR, they clearly wanted to create a headset that would look as if it came from the future. The result of their work is a sleek headset that looks like a sci-fi helmet. Although the PSVR wouldn’t really work too well as a helmet (the fact that it doesn’t cover the top of the head would make not one orc ax really happy), it provides great comfort and great adjustability. You can easily change the size of the padded headband to fit your head with a button located behind the display. The display dangles from the headband, so it doesn’t put much pressure on your face. The Vive either looks like an over-engineered prototype or like a futuristic torture instrument capable of siphoning prisoners’ thoughts and memories and transferring them through the bundle of wires coming from the display and going over the headband. But once you get over the first impression, you’ll discover that the Vive is a well-made headset that offers excellent durability, comfort, and has a useful passthrough camera that lets you see the environment around you even with the headset on your head. The included controllers are very light and highly accurate, and they last up to 5 hours on a charge. 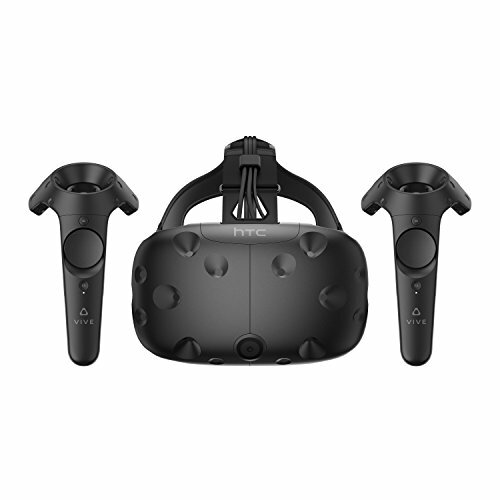 To set up the HTC Vive, you need a VR-ready computer and the latest version of your graphics drivers. Once you have all the prerequisites, it’s time to pick a room with at least 2 m x 1.5 m (6.5 ft x 5 ft) of free space to move around. The room should have enough overhead as some games require players to reach above their head. The next step is to place the two base stations to two corners of the room opposite of each other. The base stations should be above your head, angled down around 30–45 degrees, and have an unobstructed view of each other. With the base stations installed and activated, you can connect the Link Box to your computer and connect the Vive headset to the Link Box. Finally, you need to get your headset ready, install Stream, and download some VR-ready games. Setting up the PlayStation VR doesn’t differ much from setting up the Vive, except for the absence of the base stations for room tracking. You start by connecting the processor unit to your TV and your PS4, and connecting the PS Camera to your PS4. You then connect your PS4 and the processor unit with a USB cable, and connect the processor unit to AC power. Next, a special extension cable for the headset goes to the front of the processor unit. Finally, you connect the headset to the extension cable, power everything on, and optionally update the PlayStation VR software. The HTC Vive has two 1,200 x 1,080 OLED displays for a combined resolution of 2,160 x 1,200 pixels with a 90 Hz refresh rate. 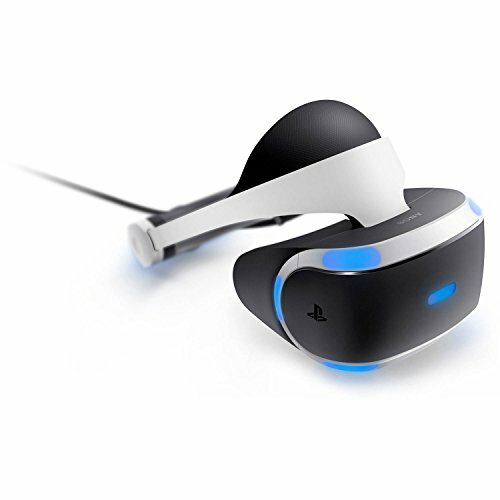 The PlayStation VR has a 5.7-inch 1,920 x 1,080 OLED display with a higher 120 Hz refresh rate. The field of view of the Vive is 110 degrees, while the PSVR has a slightly narrower field of view of 100 degrees. In reality, you won’t likely notice any significant difference between the two headsets in this regard. The Vive generally offers better immersion when playing games thanks to its room-scale tracking. Games where you can move your character around, instead of just standing in one place, have the VR wow factor that largely contributed to the initial buzz around Oculus Rift a few years ago. The PSVR works best with various cockpit games, where you don’t move your character around and where you see from a fixed vantage point. Right now, there are more high-budget games from large publishers available on the PSVR. Games like Batman Arkham VR, FARPOINT, EVE Valkyrie, Resident Evil 7 biohazard, or DRIVECLUB VR all leave a very positive first impression because of their graphical fidelity and polish. While some of these and other high-budget games are also available on the Vive, Steam’s VR category features many indie games in various stages of completion, and not all games for the Vive work flawlessly right out of the box. The HTC Vive is currently the most technologically advanced VR headset on the market. Because it’s not tied to a specific console with limited performance, developers can create as realistic and as immersive virtual reality experiences as modern computers can handle. Vive’s room-scale tracking capabilities are impressive, and so is its image quality. The PlayStation VR, on the other hand, has successfully made virtual reality accessible to the masses. It’s easy to set up, doesn’t cost much, and it just works. At the end of the day, the choice between the two VR headsets mostly boils down to whether you’re a console or PC gamer. If you own a powerful gaming rig, it makes sense to pay more for Vive’s superior performance. And if you own a PlayStation 4, a great collection of high-budget VR titles is a just a few hundred dollars away with the PSVR.